Canadians are participating in a wide array of sports and other recreational activities. From an insurance standpoint, these activities can be a source of many liabilities due to the nature of the risks involved. Event organizers, for instance, may be held liable for bodily injuries to participants and spectators of these activities. In response to the risks surrouding these activities, Markel Canada offers a product named “Sport, Leisure and Recreation and Fitness Clubs Liability,” which provides cover to commercial and non-profit entities with participant injury exposures, liquor liability exposures, concession or retail operations, volunteers and transportation exposures. 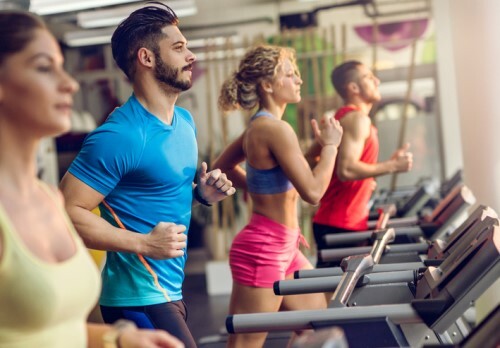 Also included in this product is a fitness club liability program that provides property, crime and liability insurance for indoor club premises – commercial club premises and member-owned facilities – such as gyms, spas, racquet/squash clubs, and aerobics and Pilates studios. Typical clients of this product, according to Markel, are amateur sports organizations (be it provincial, national, regional or municipal), one-day charity sports events, and renters of facilities whose activities include sport, leisure or recreation. In addition to the covers mentioned above, Markel has several non-standard products – which it did not specify – that can be added to the base wording to customize the policy to fit the policyholder’s needs. The premium for this product varies depending on the applicant. For instance, Markel has policies for one-day events starting at $150 for a $2 million limit. It also has large provincial policyholders paying in excess of $350,000 in gross written premium. There are several application forms available for Sport, Leisure and Recreation and Fitness Clubs Liability for different types of operations. During an application, it is important for brokers to know what the applicant is doing, how many participants they have, and how often their operations are. Visit insurr to learn more about Markel’s Sport, Leisure and Recreation and Fitness Clubs Liability.